Sabemos que muchos extranjeros viven en La Gomera y que les gustaría mejorar su español. También nos damos cuenta de que un programa intensivo puede ser difícil de compaginar con su rutina diaria. Por esa razón, hemos diseñado un programa de español para residentes como una opción para los que quieren aprender o mejorar el idioma a su ritmo. ¡Ven al aula e infórmate! We know many foreign people live on La Gomera and they would like improve their Spanish skills. We also realize that an intensive program might be hard to compose with their daily routine. 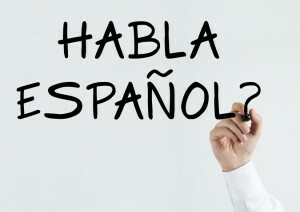 For that reason, we designed the “Español para residentes” program as an option for those who want to learn or improve Spanish on their own pace. Come to Aula-Cibermatika and find out! Wir wissen, viele Ausländer leben auf La Gomera und würden gerne ihre Spanischkenntnisse verbessern. Wir verstehen auch, dass ein Intensivprogramm schwer mit Ihrem Alltag zu vereinbaren sein kann. Aus diesem Grund haben wir das “Español para residentes” Programm, für diejenigen, die Spanisch auf ihrem eigenen Tempo lernen oder verbessern möchten. Kommen Sie uns ins Aula besuchen!